Four-time Super League champions Bradford are set for trips to Oxford and Hemel next year after their relegation from the Kingstone Press Championship was confirmed. 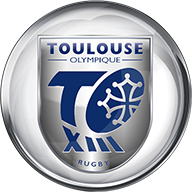 The beleaguered Bulls started the season with a 12-point deduction and Sunday's 26-10 home defeat by Toulouse left them stuck on zero, 12 points behind sixth-placed Swinton with six games to play. Oldham are just one point adrift of Swinton and their September 10 meeting means Bradford cannot escape the bottom two and will start next season in League 1. 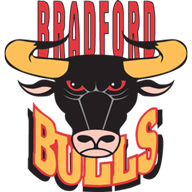 Bradford spent seven weeks in administration before going out of business and the reformed Bulls only began the campaign in the Championship after the Rugby Football League admitted it was the "least worst option". New owners Andrew Chalmers and Graham Lowe made a big statement by appointing former Manly boss Geoff Toovey as head coach and his new-look side made a promising start despite his long wait for a visa. The Bulls won five of their first nine games but only managed to wipe out their points deduction in June by beating Oldham, their sole victory in 15 matches. Relegation to the bottom tier completes a remarkable fall from grace for Bradford, who became world club champions for a third time in 2006.